For the typical American skeptic, there is nothing surprising by a headline that says that Natural News get it’s it all wrong. Most skeptics might wonder when they’ve ever gotten it right. Just to be thorough, Natural News is a website that’s focused on anti-science delusions and pushing junk medicine, while marketing a whole boatload of nonsense remedies and “cures” for whatever makes the website money. It is owned by Mike Adams, self-styled “Health Ranger”, considered one of the biggest lunatics on the internet. Some consider him the #1 American Lunatic (and that takes some serious effort). Adams is so delusional, he insists that he’s just as science-oriented as Neil deGrasse Tyson. Only if it’s one of those alternative universes, I suppose. Natural News has had a long history of vaccine denial, which always piques my interest, even if it’s to laugh hysterically. Occasionally, however, Natural News takes its anti-science beliefs to a whole new level, one that requires a double-pronged rebuttal and refutation. What did Natural News say now? Where did he get this nonsense? Recently, Natural News published an article that criticizes mandatory vaccinations of healthcare workers both from the scientific and legal point of view. 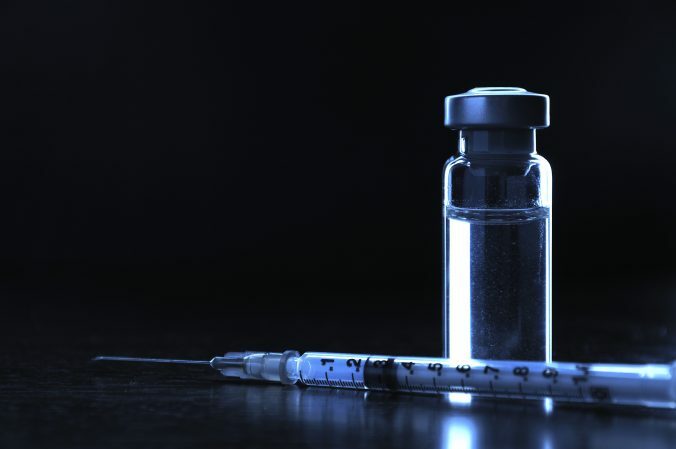 In that article, Natural News is wrong about mandatory vaccinations – big surprise. The U.S. Department of Health and Human Services’ Healthy People 2020 has established a goal to vaccinate 90% of the nation’s healthcare workers with the flu vaccine annually by 2020, up from the current 55.8% (go to section IID-12.13). The author of the article, Alan Phillips, JD, promotes his legal services on a website called “Vaccine Rights.” Of course, he’s not trying to make sure everyone gets vaccinated, his sole purpose is to fight vaccines. He even promotes the fact that he will help non-custodial parents to legally block vaccinations of their children. His website is filled with the same misinformation and outright lies of most of the anti-vaccine crowd. Let’s be honest, he’s basically a shill for the antivaccination cult, and, of course, he makes money from attracting clients to his antivaccine legal services. Let’s hear it for profits and the American Way. Back to the Natural News article. Phillips wrote it with a two-pronged attack. One about the science of mandatory vaccinations, which I’ll endeavor to deconstruct and refute here, and the other about the law. However, not being a legal scholar, and certainly not pretending to be one on the internet, I will turn to a real scholar, Professor Dorit Rubinstein Reiss, who has collaborated with me on several articles, to critique Phillips’ line of reasoning (such as they are) on the legal issues. First, are policies mandating flu shots for employees scientifically justified? Multiple peer-reviewed medical studies and other mainstream medical sources tell us that influenza vaccines don’t work. In fact, the research reveals that they may actually lower protection and cause an increase in flu-like illnesses, while studies favoring the vaccine have been shown by independent sources to be fatally flawed. This criticism is based on a Cochrane review that essentially concluded that flu vaccines don’t work. Now, I consider systematic reviews, including ones from Cochrane, to be at the pinnacle of scientific evidence. However, and this is a critical point, systematic reviews, including ones that come from Cochrane, cannot be accepted as “fact” without a critical evaluation. And this particular study (which has been updated several times) has been roundly criticized by several writers, and has caused many evidence-based scientists to begin doubting the quality of Cochrane. The author eliminates any study sponsored by a vaccine associated company. Although one might think this is a wise idea, it moves the bias in another direction. How about we eliminate every article written by Jefferson, since he’s obviously biased. In fact, corporate sponsorship can range from corrupt to complete benign, how does he know what’s happening. Is he presuming that every sponsored study is unethical? Does he have evidence? Or does he know that eliminating that group of studies, he gets an answer that he wants. Jefferson has a false dichotomy view of the effects of the flu vaccine. It’s either perfect, or it’s worthless. But, there is substantial evidence that the flu vaccine lessons the effects of the flu, which leads to a lower death rate, especially amongst the elderly. Part of the whole reasoning behind vaccinating is preventing the disease from spreading, that is, the herd effect. Jefferson’s review completely ignores or dismisses this effect. Part of the vaccination process is to not only protect yourself, but your fellow man. I know, a difficult concept for the narcissists that make up the bulk of the antivaccination cults. But it’s more than that. We have huge mountains of evidence that show how the flu vaccine benefits individuals. The CDC’s own unbiased estimates (looking at millions of patients, not just a few thousand) of flu vaccine effectiveness in 2016-2017 is approximately 48% depending on the group (pdf). But it’s more than that. The flu vaccine benefits those with cardiovascular risks. It benefits pregnant women. It benefits the general population – healthy people can die of the flu. Phillips also tries to go dumpster diving in the VAERS database and misrepresenting data from the National Vaccine Injury Compensation Program (NVICP) to try to prove that the flu vaccine harms people. Of course, lying about NVICP payouts makes for great press, except that it represents a tiny percentage, extremely tiny percentage of the number of vaccines given. Except for the data that completely dismisses any significant adverse effects from the flu vaccine, Phillips might be correct. But he loses on the evidence. Badly. Unless cherry-picking evidence is the contest. Healthcare workers have a responsibility to patients. Their code, their cause always must be the health of their patients above almost all else. If a healthcare worker is going to make a decision not to vaccinate, based on bogus information and outright lies, rather than real science, why are they in healthcare? They may as well open up an office to push crystal healing or some other kind of nonsense. Only dumbasses in healthcare don’t vaccinate. Expecting Natural News to be truthful about any science about vaccines was not and continues not to be reasonable. But Phillips’ article, which exposes his ignorance of the science behind vaccines, was mostly about the legal issues behind mandatory flu vaccinations. So, unlike Phillips, I’m not going to pontificate on an area about which I may be ignorant, and turn to Dorit Reiss for a legal critique. Jefferson T, Di Pietrantonj C, Rivetti A, Bawazeer GA, Al-Ansary LA, Ferroni E. Vaccines for preventing influenza in healthy adults. Cochrane Database Syst Rev. 2010 Jul 7;(7):CD001269. doi: 10.1002/14651858.CD001269.pub4. Review. Update in: Cochrane Database Syst Rev. 2014;3:CD001269. PubMed PMID: 20614424.